Freak shakes are currently trending like anything in the city and most cafes are serving monstrosities. 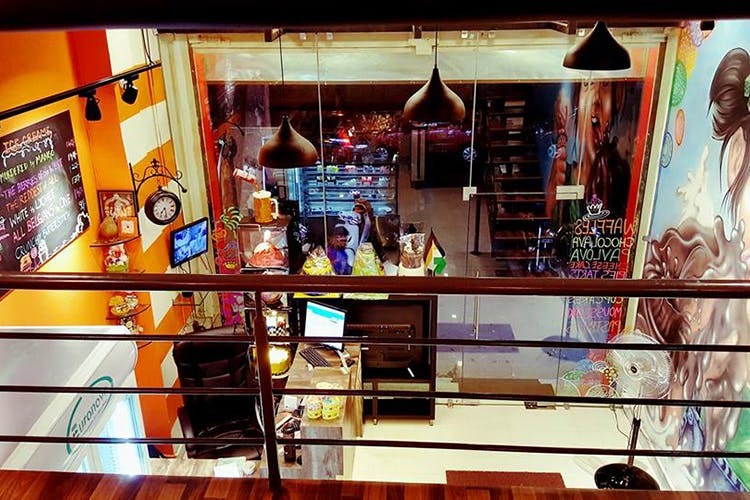 Riding the wave is Chocoberry in Jayanagar 4th Block with its six variants of sugar rush and/or coma inducing freak shakes. Well, your palette will definitely freak with the six variants served in a mason jar that can hardly hold the contents together. A nondescript place for freak shakes, Chocoberry is probably well-known for their designer birthday cakes and bakes. But you know us, we always look for something beyond the ordinary, and their shakes fit the bill. Watch this space for more as we go back and try our hand at one if not all six of them shakes.